Extra! Extra! Read all about it! 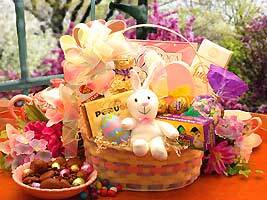 The Easter Extravaganza gift basket carries more than your loving Easter greetings! 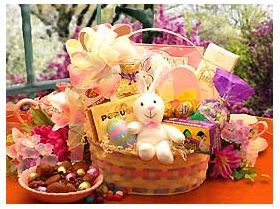 Inside this pastel colored Easter basket, you'll find an amazing assortment of chocolates and candies to tempt the most discriminating Easter connoisseur. Treat your friends and loved ones to the Easter Extravaganza gift basket!